BB CREAMS: BB creams are short for beauty balms or blemish balms and were first developed in Germany by a dermatologist who wanted a single cream that would protect skin and provide coverage after laser treatments. The all-in-one formulation became a sensation in South Korea and then spread throughout Asia. BB creams started hitting U.S. store shelves in the spring of 2011. Today, almost every major beauty company has a BB cream, from drugstore brands to high-end department-store lines, as well as lines that are only sold at spas or in doctors’ offices. The NPD Group, a market research group, found that although only 2% of beauty shoppers have purchased a BB cream, nearly 4 in 5 of those who have, say they’ll buy the product again. Many BB creams offer effective sun protection, with broad-spectrum SPF 30 or higher, the American Academy of Dermatology’s recommendation for daily use. What’s more, BB creams generally contain zinc oxide or titanium oxide, physical sun blocks that have some built-in water-resistant properties, Papantoniou says. CC CREAMS: What is it? Packed to the gills with vitamins C and E, complexion corrector cream is similar to BB cream, but focuses on color correction. It’s lighter than a BB cream and its primary purpose is to correct color-related skin issues, such as sallowness or redness. Like BB cream, it has SPF as well (number varies by brand). If you’re acne-prone, have dull skin, dark spots or constant redness, CC cream is for you. It will help with redness, acne, dark spots, sallowness and more, and is actually lighter than BB cream. DD CREAMS: Another addition to the alphabet cream craze are the DD creams, or “dynamic do-all super cream.” They combine the power and benefits of both BB and CC creams, but their primary focus is anti-aging. It will diminish wrinkles and fine lines throughout use as well as balance your skin tone and protect the most sensitive areas of your skin. Improvements in your skin are known to come with continued use, so use often and incorporate it into your daily routine. After a month you should notice changes. 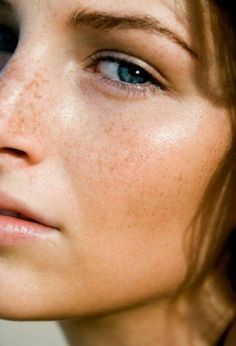 The strongest selling point of a DD cream is its anti-aging benefits, ideal for the woman who wants to reduce the appearance of wrinkles and have an over all even, radiant skin tone. HOW TO CHOOSE: What is interesting to note is that each category overlaps to the point where the differentiation is almost non-existent. The upside is they are all great products that can be very beneficial for the skin. The downside is sorting through the many varieties to determine which would work better for you.